Remember all these Halloween treats? I've had them stored in my handy shopping cart! This makes for such a darling display. *Ü* Shopping cart was bought at Cost Plus here in Boise over a year ago. Edited To Add - Making these little treats is very easy. Fold your cardstock in half and place the fold just above the cut line on the Two Tags die, so it does not cut the bottom. That makes the pouch. 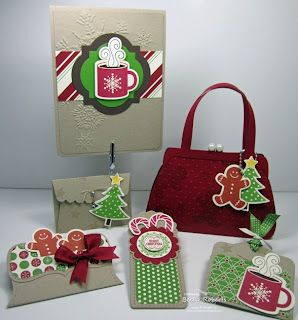 Decorate with DSP and stamps. Insert candy then tie closed with ribbon. 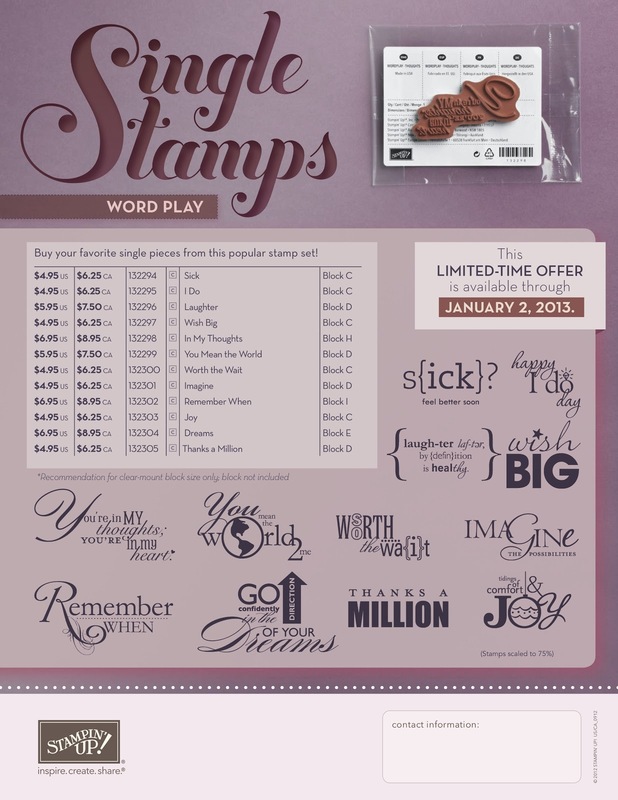 Single Stamps are available in three stamp set, Word Play, Perfectly Penned and Seasonal Sayings.Check those specials HERE. Christmas Gift with Purchase Promotion. Get a FREE Festive Paper-Piercing Pack when you purchase the Ornament Keepsakes Set and Candlelight Christmas Specialty Designer Series Paper Check those specials HERE. FREE tutorial with a $35 online order October and November only. LOTS of new items have been added to the Clearance Rack!! Have you checked it out yet? Please place your Stampin' Up! order HERE! How did you make those Halloween Treats they are so cute! Love these treats Becky! Did you make a "box" in the center of two tags? That is an adorable cart Becky! I'm home from vacay so now I can get started on some crafting! Woohoo! Ha! It's good you said where you got the adorable shopping cart, cause you know EVERYONE was going to ask! 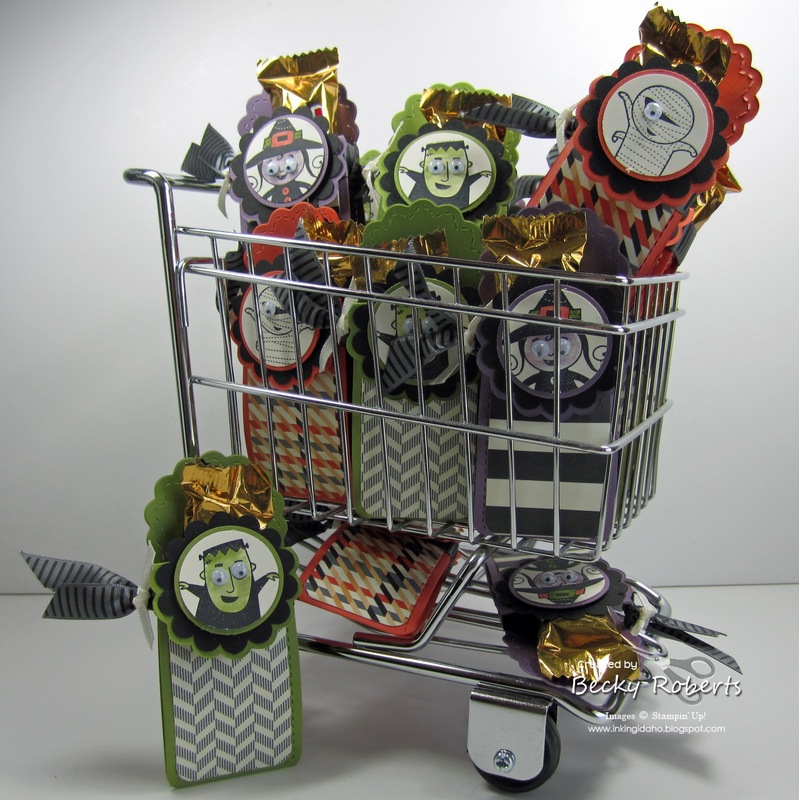 It's perfect for your cute Halloween Treats. TFS!